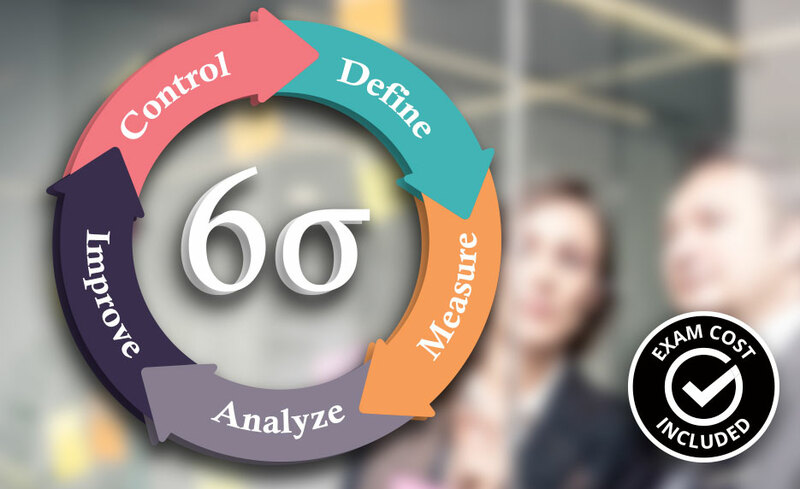 This online Lean Six Sigma Black Belt training and certification program efficiently and effectively helps you further develop your process improvement, project management and leadership skills using clear language and plenty of practical examples. It’s an advanced, interactive and enjoyable online course that draws on decades of success helping people from Fortune 500 Companies to Small- and Medium-Sized Businesses. This course will begin to help you create happier customers, increase revenue, reduce costs and improve collaboration. In this program you will receive 1-on-1 Project Coaching with a Master Black Belt. This coaching will help ensure that your project is completed properly and efficiently. In this program you learn to manage multiple projects and ensure their alignment to meet organizational goals. The fees for the Lean Six Sigma Black Belt Certification exam are included in the program. This online advanced training program empowers you to lead and mentor Green Belts and plan/execute strategic Lean Six Sigma programs. Your training will enable you to transform your organization by reducing costs, increasing revenue, and improving collaboration. Learn how to manage multiple projects and ensure their alignment meets organizational goals. As a Black Belt, you will be able to coach Green Belts to complete successful projects that deliver significant, sustainable results. You will learn how to communicate and influence people at all levels of your organization to manage change effectively while understanding the why, what and how of statistical analysis tools. 1-on-1 Project Coaching partners you with a GoLeanSixSigma.com Master Black Belt will help ensure that your project is completed properly and efficiently. 1-on-1 Project Coaching includes a total of 6 hours of remote support via web meeting or telephone with a GoLeanSixSigma.com Master Black Belt (Senior Consultant). In this program you will receive 1-on-1 Project Coaching with a Master Black Belt. This coaching will help ensure that your project is completed properly and efficiently. 1-on-1 Project Coaching includes a total of 6 hours of remote support via web meeting or telephone with a Master Black Belt (Senior Consultant). Upon completion of this program, you will be prepared for the Lean Six Sigma Black Belt Certification exam. The registration fee for this exam is included with the program. Microsoft Office Suite or Google Docs/Sheets/Slides/Forms & Apache OpenOffice (not included in enrollment). You will need to have completed the Lean Six Sigma Green Belt and achieved certification prior to beginning this course. You will be required you to complete a project in addition to assignments and quizzes. Projects must be based off an actual business. We highly recommend a project be completed at your place of employment. The business-related project also is required to meet an eligibility requirement to earn your Lean Six Sigma Black Belt certification. Projects are subject to approval by Master Black Belt Coaches. Tracy O’Rourke is a Master Black Belt with over 20 years of success helping organizations like the Department of Veterans Affairs, the State of Washington, Cisco, DC Shoes, GE and Motorola learn and apply Lean and Six Sigma. Tracy is an accomplished facilitator, trainer and presenter. She has trained over 1,000 people, mentored 300+ people and has helped complete 300+ projects with results that range between $50,000 and $8 million dollars in savings. Her facilitation expertise runs the gamut, from facilitating leadership retreats with top executives, to facilitating Process Walks, Kaizen Events and project team meetings. Elisabeth Swan is a Master Black Belt with over 25 years of success helping organizations like Amazon, Charles Schwab, Burt's Bees, Microsoft and Starwood Hotels & Resorts learn and apply Lean Six Sigma. As an accomplished business process improvement consultant, designer, change leader and executive coach who is an expert in training, process-based organization design, problem-solving and change management for organizations large to small. Elisabeth is a Certified Interactive Leadership Executive Coach from Burnham Rosen, Boston, MA and Improvisational Facilitation Instructor from APQC, Houston, TX. She has a BA in English Literature from Barnard College/Columbia University, New York, NY. Yes, you will be prepared for the Lean Six Sigma Black Belt Certification and be able to sit for the exam after successful completion of the course and financial obligation. Upon successful completion of the course, you will be awarded a certificate of completion. In addition, you will be able to sit for the Lean Six Sigma Black Belt Certification after successful completion of the course and financial obligation. WHAT IF I DO NOT PASS THE PROJECT REQUIREMENT OF THE COURSE? You are allowed 3 revisions of your project, where you are provided feedback by a Master Black Belt. If you fail to pass after 3 revisions, there will be a fee of $300 to submit another revision.